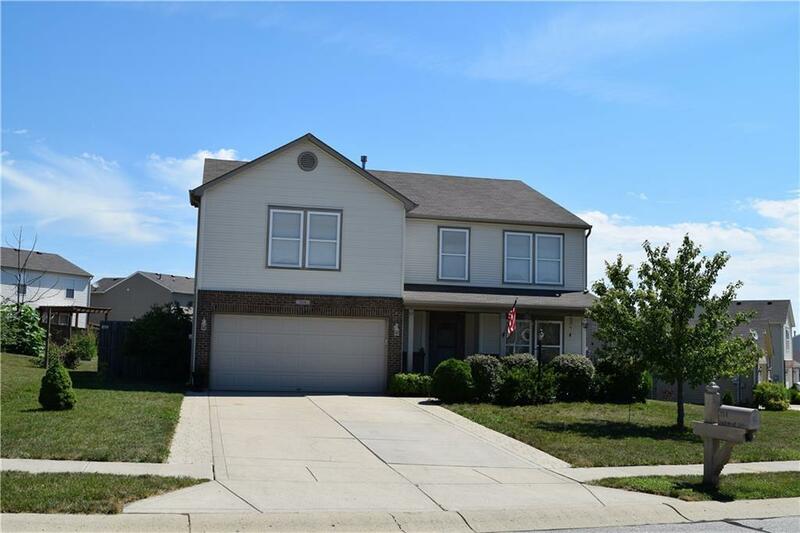 Come see this nice 3 BR 2.5 Bath home in Danville. Open floor plan and plenty of space for furniture and storage. Large pantry/laundry room is right off the kitchen. Gas fireplace in family room perfect for relaxing in the colder months. Upstairs loft makes a great gaming or media room. This home offers large bedrooms all with walk in closets. The Master Bath has a garden tub/shower combo. Fenced in backyard with garden area. Great neighborhood to enjoy parks and recreation with tennis court a short hike down the street. Schools nearby and a short trip to Avon and Indianapolis. Home warranty is included for the buyer.